Concept design, or engineering drawings? ECAD to MCAD and everything in-between. Over recent years there has been significant increase in complexity of products and requirements for ever increasing functionality and reliability. Manufacturing processes have developed and become more lean, mean and innovative. Speed to market is a must have. Good product design requires great cross functional teams to work together to achieve the end goal. That’s why at GSPK design we don’t outsource any of our design requirements – it’s all done in house, putting us in the driving seat and guarantees the best possible outcome for your designs. With the latest Software for both Electronic Design and Product Design – and the right skilled engineers to use those tools. 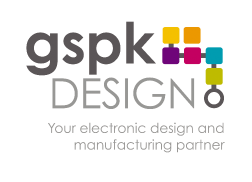 From Concept Design through to 3D rapid prototypes and beyond to full engineering/ tooling designs, GSPK Design believes we can exceed your expectations.